We’ve all heard a lot about supplements and the wonders they work, but do you really heed them? We are guilty of brushing these adverts off because sometimes, it’s hard to understand the mishmash of ingredients, and even harder to believe that such small amounts can do any substantial good. Renovatio, however, is set to change that. Renovatio is an Australia-based healthcare brand that has created Activated Phenolics supplements, known as the ‘holy grail’ of antioxidants. 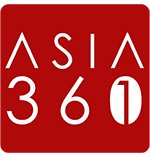 The company was founded by Dr Vincent Candrawinata, an academic with the University of Newcastle, as part of his research. 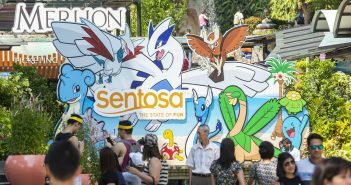 His discovery of Activated Phenolics was first shared with Australia in 2016, and the products landed in Singapore a year later. The story behind Renovatio is rather interesting. 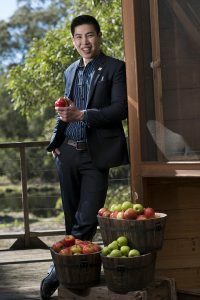 Dr Vincent – an Indonesian scientist living in Sydney – discovered a groundbreaking new technique to extract phenolic antioxidants from apples using just water, a method that had been unsuccessfully attempted for nearly eight decades previously. However, he did not choose to make the product commercial initially. During a trip back to Indonesia, Dr Vincent visited his grandmother, who had difficulty walking and was supposed to undergo a knee replacement surgery. She decided to opt out of the surgery, given her age, and Dr Vincent gave his grandmother some Activated Phenolics powder to try. Months later, Dr Vincent’s grandmother visited him in Sydney and almost like a miracle, she could walk without difficulty and sometimes for distances as far as 2km. “She could walk from the Chinatown to the Sydney Opera House,” added Dr Vincent. And, it was Dr Vincent’s grandmother who urged him to make the product commercial and available to other people. Activated phenolics is a new antioxidant compound made from a specific blend of 100% Australian apples (Malus domestica). It is 100% natural and is extracted from apples using not chemical solvents, but simply water. Dr Vincent actually achieved this feat of creating the 100% natural compound after six years of trials and repeated attempts. In this powdered form, the activated phenolics is said to be 12 times more potent than other sources of antioxidants, enhancing their many benefits. So, why apples, and not any other fruits? Apples were selected for their eight different phenolic types. They have the highest and broadest range of antioxidants and vitamins the body needs. 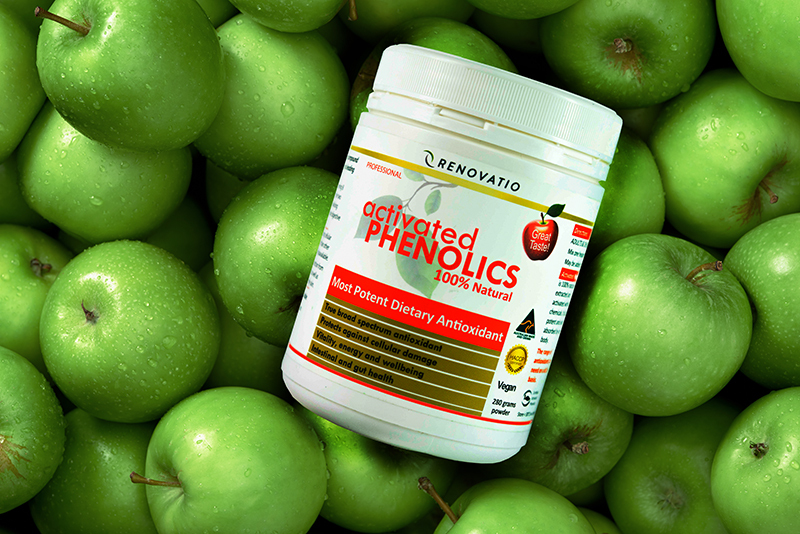 And Renovatio’s activated phenolics boasts a 90% absorption rate in the body. To date, it is the world’s most potent dietary antioxidant – 12 times higher than any other dietary antioxidant product in the market. Just imagine — one teaspoon of the powder is equivalent to 2kg of apples. 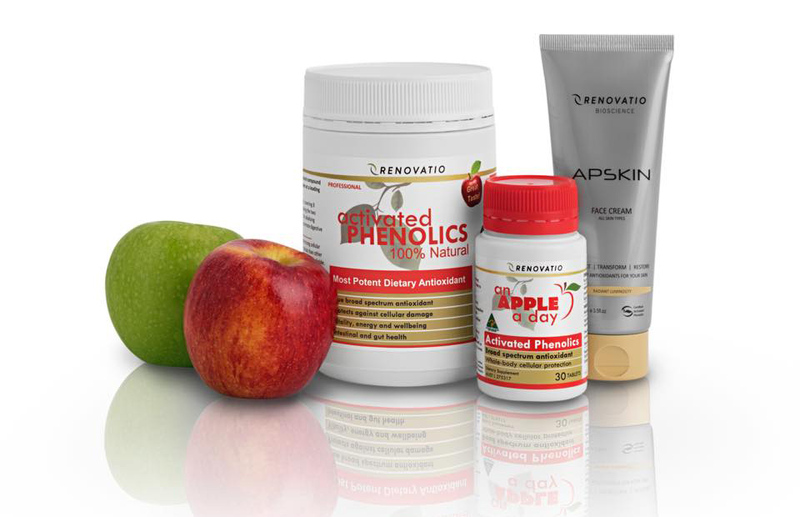 The exclusive range of Activated Phenolics products from Renovatio comprises three essentials: An Apple A Day Activated Phenolics Tablets, Activated Phenolics Powder, and the APSKIN Face Cream. For a simple yet powerful daily dose, their tablets are a go-to. Apart from providing a boost of energy, they up your overall well-being by strengthening your immune response and improving your gut function. It also helps that the tablets are vegan and gluten-free, made from 100% Australian ingredients, so everyone can have their share. Yes, even for children as young as two, the products have been certified safe. The powdered form, which can be mixed with food or water, contains additional fibre, Oligospectine, which helps keep your digestive tract moving and healthy, and also balance your bodily fluids. Twice a day, and APSKIN’s formula will rejuvenate your skin. 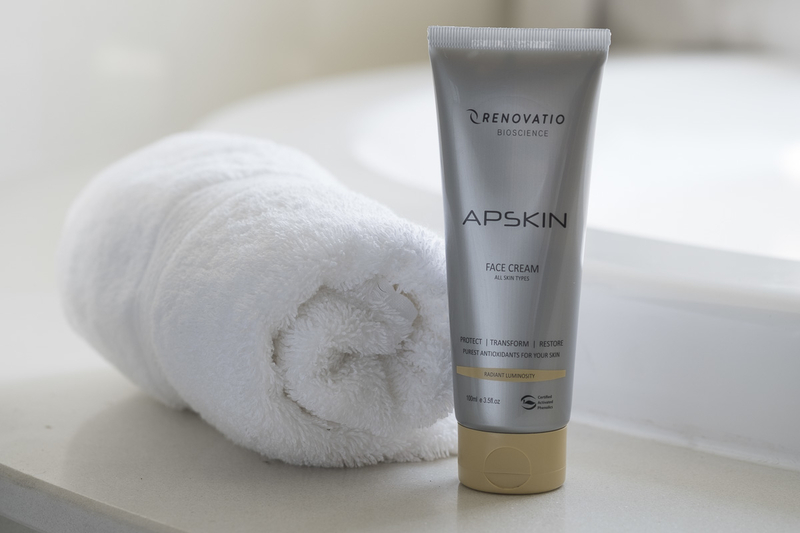 If you’re more concerned with the beauty side of things, the APSKIN face cream is rich in the potent antioxidants, which penetrate your skin to reverse the effects of ageing. They stop the breakdown of the collagen and elastin fibres that hold your skin firm to restore its youthful bounce, while renewing the top layers with a fresh, radiant glow. By protecting your cells and speeding up regeneration, the cream has been said to solve skin issues of all sorts: whether its correcting your complexion, soothing a nasty sunburn or even eczema. The compound is also said to be highly bioavailable, so this means your body is truly absorbing the most of what you’re paying for. With just one little ingredient, you can be doing lots of good for your body. The prices for Renovatio’s Activated Phenolic range of products starts from S$42, and the entire set is now on sale at S$149. You can find their products at www.biovida.com, or at healthcare retailers such as That Health Shop, Glory Bee and Nutrimax Organic. Shauna Soh is an animal lover who spends most of her time cozying up to her furry friends. A self-professed chocolate addict, she hopes to seek out all the sweet treats Singapore has to offer.